We break down our list of the best online banks - these are banks that typically deliver value in multiple areas, and no fees, and really easy to use products. Featured Bank: CIT Bank just launched their Savings Builder account. This account has the highest yield we've seen and it's super easy to qualify. Check out CIT Bank here. Here's our top 3 picks for online banks. If you're not using one of these banks, we strongly encourage you to check them out for your checking, savings, and banking needs. If you're looking for a specific banking product, we have lists of the top banks in those areas. 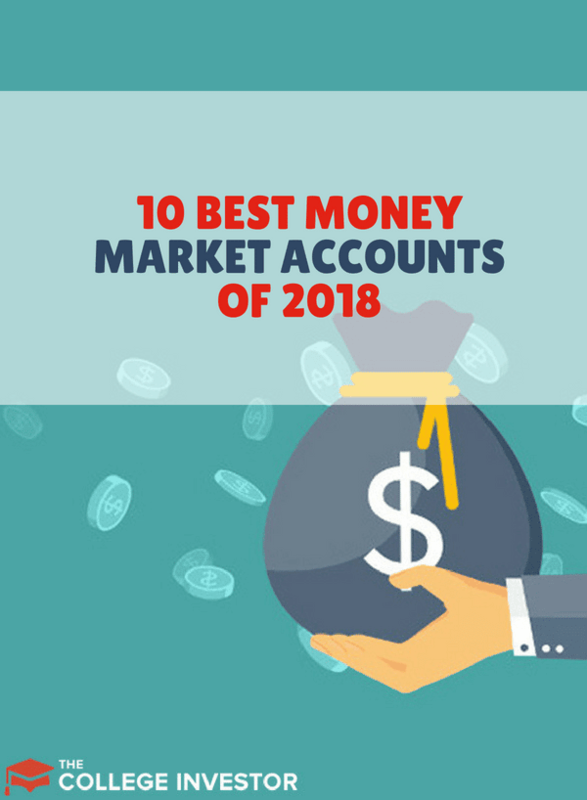 These banks on this list focus on all-around banking products and service, but you might just have a need for a savings account, CD, or mortgage. Here's our top picks in each category. Most online banks offer the same banking products that you can find at traditional banks. Most online banks include checking, savings, top rated CDs, and money market accounts. High Rates: Generally, online banks tend to offer bank account and CD rates of 0.5% or higher, which is more than what most traditional banks currently offer. Low Fees: Because of reduced overhead costs, there are usually low fees, or even no fees. User Friendly: Most online banks also have mobile apps, and a user-friendly interface, so you don’t have to be super tech-savvy. Difficulties with Depositing Cash: Customers who regularly deposit paper checks or cash may face some inconveniences. You can get around this by depositing funds in a traditional bank, and then transferring funds to your online bank to take advantage of high APY rates. If you usually go to the bank to deposit paper checks, you will save yourself a trip by making mobile deposits via smartphone, where you take a picture of the front and back of the check. Withdrawing money is easy; just go to the preferred ATM locations for your online bank. Limited Product Offerings: If customers are looking for home loans, personal loans, or brokerage accounts, the choices are limited. No Personal Interaction: This is not a problem for most people. You save a trip to the bank, and if you need customer service, you can contact an agent by phone or chat. In addition to our top 3 listed above, we’ve put together a breakdown of some of our other best online banks. Make sure you check out each one based on your situation. Our favorites include Aspiration and USAA. All rates and APY were last updated on December 31, 2019. Ally is an award winning online bank that charges no ATM fees. Ally bank offers 1.0% APY on savings accounts, and a $10.00 reimbursement on ATM fees. For checking accounts, you can earn 0.10% APY on balances less than $15,000, and 0.60% APY on balances of over $15,000. Check out our full Ally Bank review here. American Express Bank provides online banking customers with access to online savings accounts and CDs through the American Express Personal Savings online bank. There are no monthly fees or minimums associated with the online savings account. The account links with up to 3 of your current bank accounts, so there is no need to completely switch banks. Check out our full American Express Savings Bank review. Axos Bank Rewards Checking has flexible requirements to earn a high APY and also provides ATM fee reimbursement. Instead of requiring you to meet 3 requirements, you get 0.4166% APY for each requirement you meet: a monthly direct deposit of $1,000 or more, using your debit card 10 times per month, using your debit card 15 times or more per month, with a maximum 1.25% APY based on account activity. Bank 5 Connect has a rewards program where Bank 5 Connect debit cardholders earn rewards points for every $2 spent. Bank 5 Connect lets you write checks for free, and provides ATM reimbursements. With a high interest rate of 0.76%, low minimum deposit requirements, and no monthly maintenance fees, Bank 5 Connect is a great choice with rewards to cash in for gift cards and other merchandise. Based in the UK, Barclays offers clients in the U.S. access to online savings accounts and CDs. Online savings accounts through Barclays feature no minimum balances to open and no monthly maintenance fees. BBVA Compass Bank is one of our favorites that a lot of people haven't heard of. They offer a top rated money market account, great CDs, and free checking accounts! This bank has everything you need for your money, and they offer great rates, low and no fees, and all around great banking. ​Capital One 360 was acquired and rebranded by Capital One. Formerly known as ING Direct, Capital One 360 offers online checking, savings, CDs, business savings, and children’s accounts, many with no minimum balance requirements or monthly fees. In addition, Capital One 360 also offers brokerage accounts, IRAs, and mortgages. Charles Schwab is geared towards investors who travel frequently and hold accounts with high balances. With the High Yield Investor Checking Account, there are no fees for ATM use anywhere in the world. There are also no foreign transaction fees, and ATM reimbursement for any international ATMs that have fees. The account offers a 0.15% APY and no minimums or monthly service fees. If you have a linked Schwab brokerage or savings account, there are no fees to cover overdrafts. Check out our Charles Schwab review. The Consumers Credit Union is a credit union open to all members. It offers free checking and up to 4.5% APY if you meet certain conditions. In order to join, you just have to pay $5 for membership with their sponsor, the Consumers Cooperative Association. Now, you will be eligible for a free checking account. To get unlimited ATM reimbursement and 3.09% APY on balances up to $10,000 you need to make at least 12 debit card purchases per month without using the 4 digit pin code, at least one direct deposit or online payment per month, log in at least once per month, and sign up for paperless statements. If you open a Visa credit card with the Consumers Credit Union and spend at least $500 per month with the card, they kick your interest rate up to 3.5% APY on balances up to $15,000. If you spend at least $1,000 per month, enjoy 4.59% APY on balances up to $20,000. Yes, the requirements are extensive, but the APY is substantial. If you fail to meet the requirements, you only get 0.01% APY with no ATM reimbursement. Discover Bank is one of the "oldest" online banks - one of the first to offer high yield savings accounts and more. However, most people only think of Discover for their credit cards. In addition to offering competitive credit cards, Discover Bank offers savings, money market, CDs and IRAs. Online savings offers one of the highest APYs you'll find around. Fidelity’s Cash Management Account is structured similar to a brokerage account rather than a regular checking account. With a 0.07% APY and no monthly fees or overdraft fees, you can rest assured that your savings are growing at a steady rate. There is a $1,250,000 limit with no required minimum balance. There are no ATM fees, and ATM reimbursement is available for ATMs located in the US. Read our full Fidelity review here. First National Bank of Omaha currently offers a competitive APY for its online savings account, with a minimum deposit of $500. Even more impressive, it offers an interest bearing checking account that currently pays 0.65% APY and an online savings account that pays 1.15% APY with minimum requirements. Marcus by Goldman Sachs has great online banking options. They specialize in high yield savings accounts and high yield CDs. However, they are continuing to diversify their product offering and offer great choices for users. They are lacking some features, like mobile check deposit, but they do make up for it with generous online transfer amounts and more. Check out our Marcus by Goldman Sachs review. MemoryBank will give you up to 1.5% APY for the first year on balances up to $250,000 for the first year as long as you meet the following conditions: receive at least one electronic deposit every month, payroll deposited into the account, and select the paperless statement option. If you have a large balance and want to find the best liquid account, MemoryBank has a good offer. You need at least $50 to open the account. You will get access to AllPoint ATMs. Radius Bank caught our attention earlier this year with their Hybrid Checking account, which is like the best of checking and savings accounts combined. They are one of the few banks on this list that offer interest bearing checking, but with some really low minimums to earn interest. Also, they have a great mobile platform that has mobile deposits and more. Plus, no monthly fees, which is what we like to see. They also have some innovative small business checking options as well. TIAA Bank (formerly Everbank) is a great online bank because they guarantee that their rates will always be in the top 5% of all rates. They also offer a great first year introductory APY on your checking account, on balances up to $250,000. They also reimburse ATM fees as long as you keep at least $5,000 in your account. Synchrony is widely recognized as one of the best banks around, and they have the best interest rates. Account holders enjoy a 1.05% APY, no minimum deposit or balance, and no fees or service charges. Synchrony also rewards member loyalty with travel rewards such as car rentals, and hotels. Loyal customers can also take advantage of perks such as ATM fee reimbursements, travel rewards, and discounts on theme parks, car rentals, and hotels. USAA is a unique bank in that it limits it's membership to current and former service members, as well as their families. However, if you can become a member, USAA is hands down our favorite online bank. 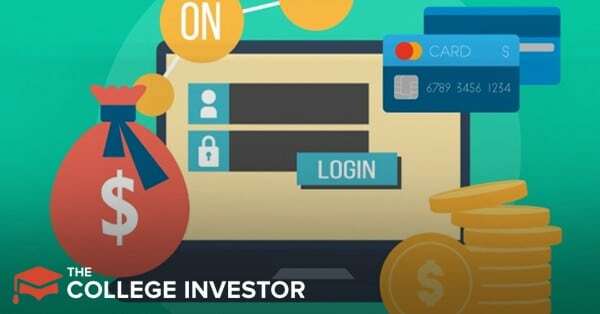 They offer free checking, decent yields on their savings accounts, and a variety of perks that every online bank should offer. These include free checks, ATM fee refunds, mobile check deposit, and more. You can read our full USAA Bank review here. We have established that most of the accounts offer a higher APY than traditional banks. If a high APY is your top priority, Bank 5, Bank of the Internet, Consumer Credit Union, and TIAA Bank are some of our top picks. If you want an account that offers rewards and perks, Synchrony is your best bet. For higher returns on higher balances, Charles Schwab may be your first choice. Whatever you decide, base your decision on how much you can afford to put into the account, and how you plan to use the account. Have you opened a checking or savings account with an online bank?Do you enjoy the benefits of an online bank over a traditional bank? Tell us in the comments section below!